Every day, many drivers forget their keys inside their car or forget where they put their car keys so they don’t have a way to unlock their car door. 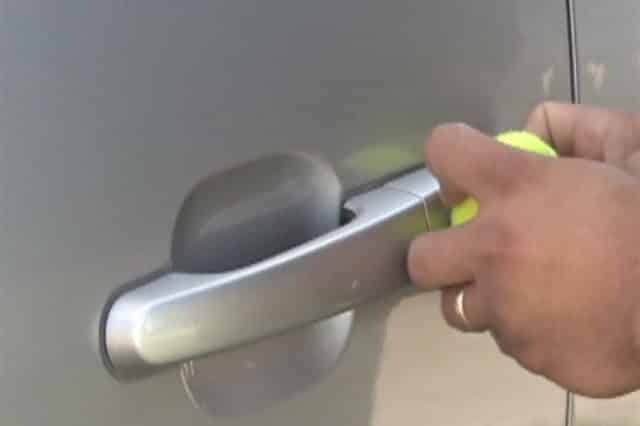 In that situation many resist the logical urge to call for an unlock car door service and try several methods to do it themselves. 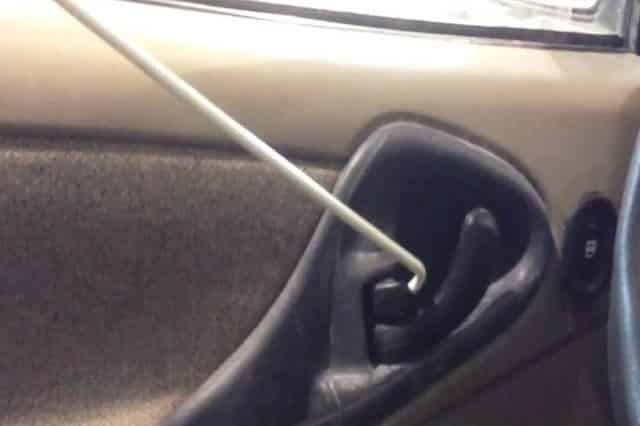 If you are in that situation you might feel tempted to google “How to unlock car door” expecting to find an easy way to get you out of the predicament. You could then inadvertently start watching videos on “how to unlock car door”, browsing websites, and end up wasting a lot of time on your phone or computer. If then you decide to try one of the methods, you will realise that you probably don’t actually have the tools to attempt to “unlock car door” and slowly become more and more frustrated. Eventually, after browsing the internet, watching the videos to try to “unlock car door”—probably sending text messages to your friend or spouse asking for direction or to your boss apologising for being late—and spending a while trying to find the right tools, you decide to embark on unlocking the car door and… it doesn’t work. Considering the amount of frustration and desperation bottled up in your body, the outcome could be a damaged car, maybe with some scratches, an angry spouse, an angry boss, frustrated children and, of course, you may still need to unlock the car door. Now, ask yourself: Is it really worth it? Do I really want to start the day like this? It is not that you can not unlock the car door. We are sure that you are more than capable; the thing is, you haven’t received the training that our team of locksmiths have received and you don’t know how to unlock a car door, and you don’t have the right tools either. What can you do? “Shall I call the police?”—you may wonder. That is not a bad idea, in fact every police officers knows very well how to pick a lock and they have helped several people in your situation, but still, they don’t have the right tools to unlock the car without damaging it. Because of that, nowadays most police officers will not accede to unlock your car door, not because they are not kind, but because there are other people prepared to do the job with the right equipment and training. So, back to the square one. The logical thing to do is to call professionals who can do the hard work for you in no time. We have workshops in 67 locations around San Diego, CA, so it will not take long before one of our fully equipped mobile vans turns the corner of your street. You will feel a great relief when you see us coming to help you with our friendly, trustworthy faces. Using a wedge. It may be a given but, to unlock your car you need to gain access to the locking system from the In order to do that you have to create an opening between the door, or the window in some cases, and the body of the car. Through that gap you can now access the interior and insert the right tools to do the job. If you don’t manage to insert a big wedge to create the space you need, try to insert first a smaller one that will allow you in turn to insert the one you actually need. Don’t be rough, a metal wedge will be stronger, but it can also damage the car or the window. You could also use an inflatable wedge and pump it up once inserted. Getting to the crux of the matter. Once you have the space for it, you have to insert a long tool to pull the lock tab, or press the button to unlock. 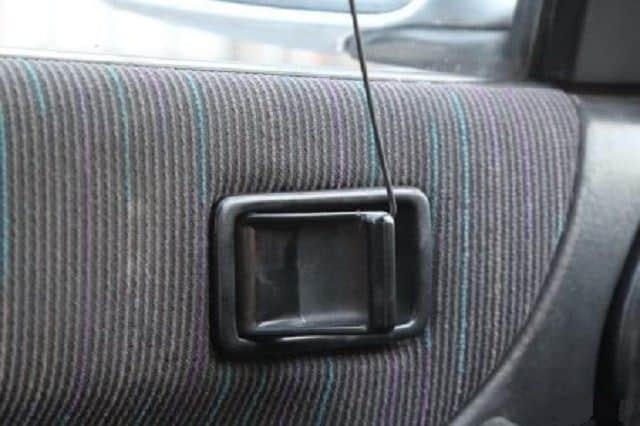 Keep in mind that some modern cars have the button in the middle of the dashboard nowadays, so you would have to use a pretty long tool to reach to it. Car lock picks. This is the way a professional would do the job, especially with modern cars. Since we don’t want to damage in anyway your car or the paint of the car we endeavour to unlock the car without manipulating the doors or the windows. We use a special torsion wrench that applies tension on the cylinder while we pick the lock, and we have picks for all kinds of models and makes. All of our locksmiths have received extensive training in seminars and on the go. They are equipped with the latest technology to enable them to give you a fast unlock car door service but without loosing quality. We can unlock any model and make easily, and our method to unlock a car door will not damage your car and will save you money since you will not need to ask for a new key or spend money in a needless key duplicate. We have a long resume of experience and know very well how to unlock a car door. We know how big a setback it can be in your day to find your car locked and not be able to get in with your usual haste, so we want to make your life easier and allow you to concentrate on what really matters to you by doing the hard work for you. You can call us from anywhere, anytime 24 hours a day, 7 days a week and our San Diego Locksmith will come to your aid. Are you traveling? Don’t worry, we provide services for the whole of the San Diego area and also the Orange County and Los Angeles. Check out our homepage for further information about the location nearest to you.